With its central location and proximity to numerous attractions, Eureka is the ideal hub from which to branch out on your Redwood Coast adventures. The town was born and raised in the timber industry of the mid-1800s, some fishing on the side, and a well-earned reputation for being a bit wild. Eureka’s waterfront could give the Barbary Coast a run for its money, so much so that writer Jack London came here in search of authentic tough guys on which to base his characters. Today things are quieter, but Eureka retains many reminders of its bustling past. Historic Old Town Eureka: Located in C through M Streets between 1st & 7th. Dine, shop and take in the sights of Eureka's historic section of town. Stroll the Boardwalk overlooking Humboldt Bay at the foot of F Street. 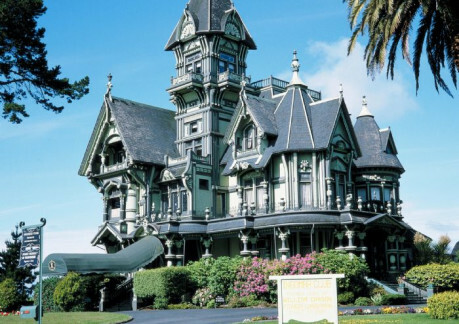 Carson Mansion & the Victorian Home Tour: The Victorian mansion formerly owned by lumber baron William Carson is one of the most photographed landmarks in Eureka - 2nd & M streets. 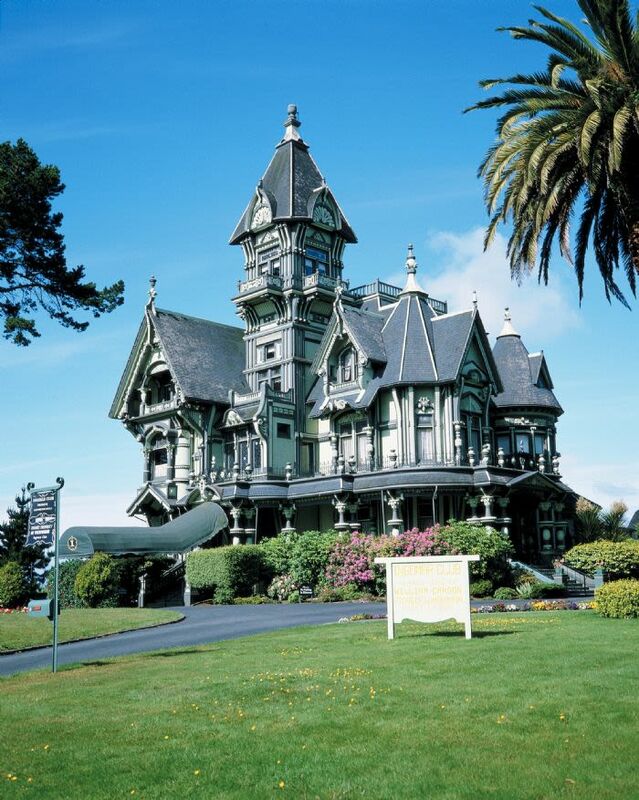 Take an architectural tour of Eureka. Visit the neighborhoods south of 7th St, between California and I Street. Some of the styles you will see are: Queen Anne, Stick, Eastlake, Craftsman Bungalow and Colonial Revival. Mural Tour: Humboldt County is home to hundreds of artists, and this fact is apparent when one notices the numerous murals that adorn area buildings. This self-guided tour spotlights magnificent murals painted on the sides of buildings. Blue Ox Millworks: This is a full production working museum of Victorian era machinery, technology and craftsmanship. Logging skid camp, blacksmith shop, sawmill and ceramics studio. 1st and X Streets. 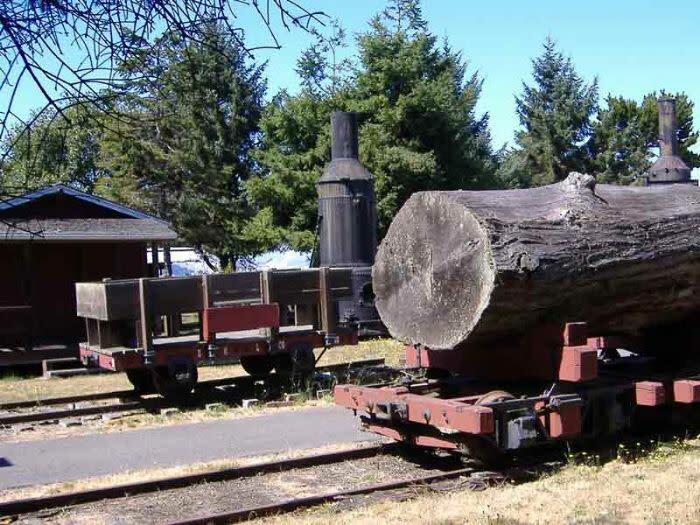 Samoa Cookhouse: Have lunch at the last lumberjack cookhouse and visit the museum of old photos, machinery, saws and many items from days gone by. Samoa Blvd., Samoa. 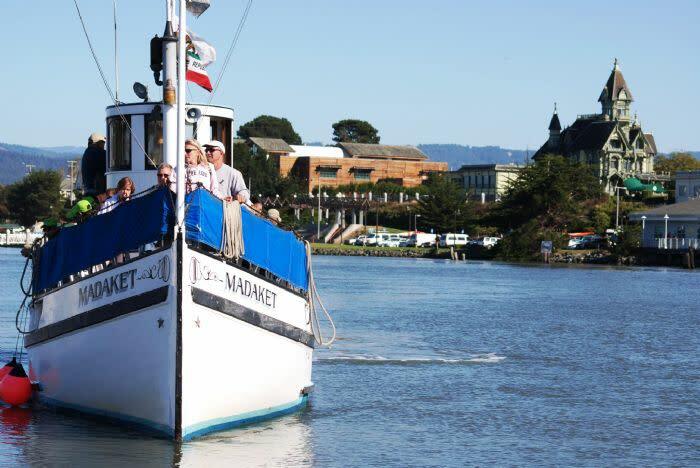 Humboldt Bay Harbor Cruise aboard the Madaket: Built in 1910, it's the last of seven ferries that operated on the Bay. Take in the sites and listen to a lively narrative on the past, present, and future of Humboldt Bay. Base of F Steet on Boardwalk. Runs daily June thru August. Weekends Sept - Nov and April thru May. Woodley Island : Fishing boats, boat rentals, city views, birdwatching, dining & fishermen's Memorial - take Route 255 (Samoa Bridge) west from Hwy 101. Morris Graves Museum of Art: Renovated Carnegie Library. In addition to over 25 exhibits annually, there are free performing arts events "on stage" first Saturday night of the month. 6th & F Streets. Clarke Historical Museum: Discover Humboldt County History at the Clarke Musuem, formerly the Bank of Eureka Building built in 1912. Discover Humboldt County history. 3rd & E Streets. 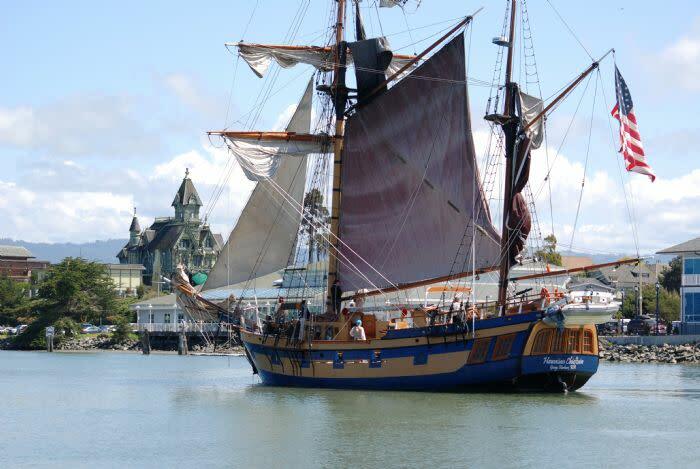 Maritime Museum: Dedicated to the preservation and protection of North Coast California Maritime History. Next to the Cookhouse in Samoa. Sequoia Park Zoo: Spend some time in the river otter exhibit, petting zoo, aviary, and live animal displays. Stoll through the gardens or take an easy hike through redwoods to the Duck Pond. Then relax in the park while the kids play on the swings. On W Street south of Harris. Fort Humboldt: Located on a bluff overlooking Humboldt Bay, this old military post was established in 1853 to assist in conflict resolution between the Native Americans and gold hungry settlers. (Across from the Bayshore Mall). Humboldt Bay National Wildlife Refuge: Walk one of the trails along the marshes and sloughs of the bay to view wildlife and vegetation. Highlights Eureka as an outpost of Victorian architecture and magnificent scenery, rating it well worth including in any visit to the state's northern coastline.